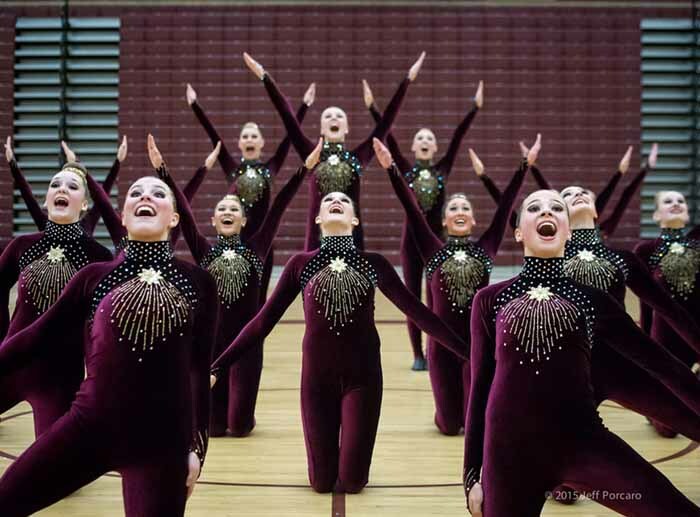 They take their name from a ballet term meaning “to rise up, ” so it should be no surprise that the Maple Mountain High drill team has quickly ascended to become one of the state’s most competitive units. In the six years since the school opened, the Elleves have finished in the state’s Top 5 five times. What are the reasons behind the rapid rise to prominence in a sport that requires precision and the ultimate in team unity? Their coach, Molly Brenchley, is an experienced leader, and she credits the community from which the school draws its students. 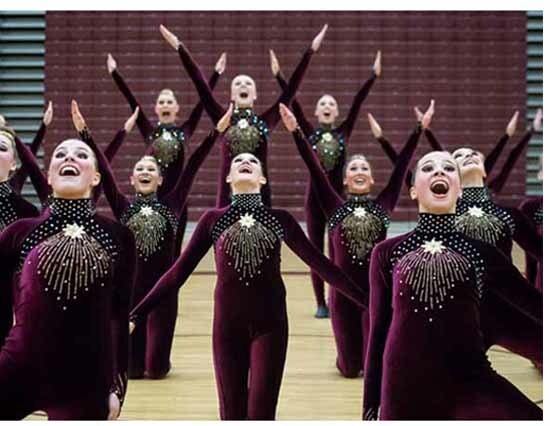 The young ladies on the team work hard to develop routines that impress judges and parents alike, but for most of them, it started with training that began long before they reached high school. It also helps if you can slip inside the mind of the judges, to get a feel for exactly what they are looking for as they evaluate different teams and different routines. “Judges check that the movement is clean and everybody is doing it exactly the same,” Brenchley said. “Their showmanship, they have an energy level, they’re confident, they’re excited to be out there. They’re confident, but they’re calm. Even if they’re nervous, it just comes off as confidence. The routine, the choreography, the routine has all the elements the judges are looking for. There are few coaches better suited to take her team behind the scenes and in to the mind of a judge. 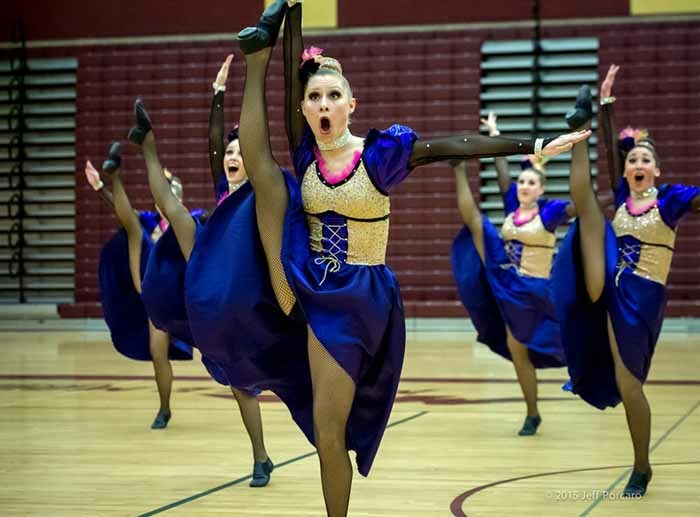 A dancer since she was five and a member of the Juab High drill team, Brenchley started judging drill when she was in college. A UHSAA-certified drill judge, she has been coaching for 25 years (the first 19 at Payson), but she has been a judge for 28, at least when she can squeeze it in, but her coaching duties come first. Nevertheless, she knows what a judge wants to see. “I feel like judging helps me be a better coach,” Brenchley said. “When we get to the point where the routines are pretty clean and we’re preparing for competition, I try to look at it from a judge’s point of view. As a coach, you know which girls have improved and which girls are getting a little bit better at that part, but a judge doesn’t know that. A judge is just looking at the routine that is put before them and they’ve got to just judge it. 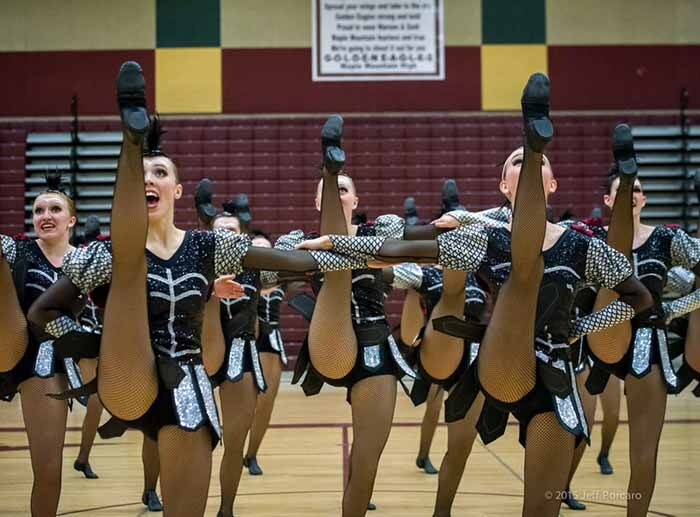 Like drill teams everywhere, these young ladies work extremely hard preparing routines and finding ways to get in sync. During competition season, Brenchley estimates that she sees the team for about 20 hours each week, and she says the summer training schedule is much more demanding. The results so far at this new school in the southern part of Utah County have been amazing. The Elleves are still chasing Bountiful, the six-time defending state 4A champions, but Brenchley hopes this is the year they finally rise to the top at the state championships. “I just think there’s something special here (at Maple Mountain),” Brenchley said. “They come trained, but this school from the minute we opened, it’s just been… Our name ‘Elleves’ comes from a ballet term that means ‘to rise up’ and I like that because rise up, mountains rise, they’re high. That’s what we’re kind of going off of and then dance elevated.